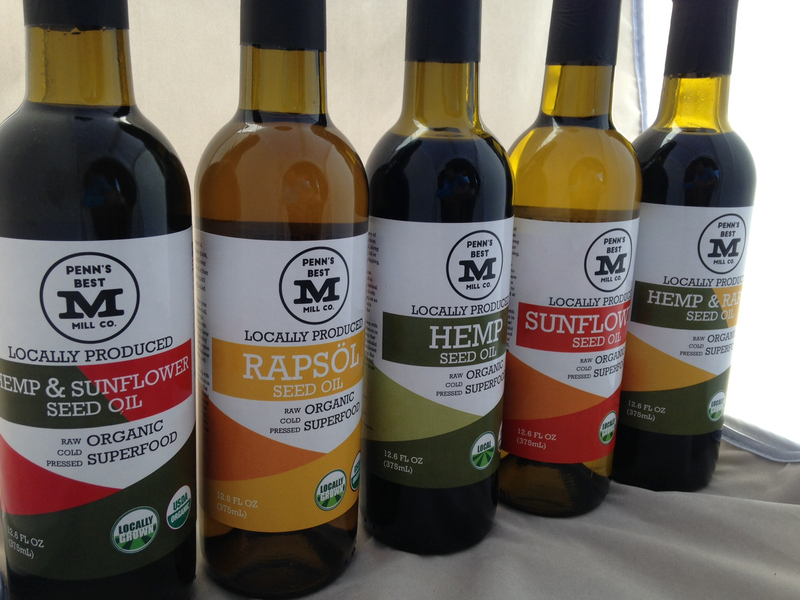 Penn’s Best Mill Company has just been awarded PA Preferred status for their amazing line of cooking oils! 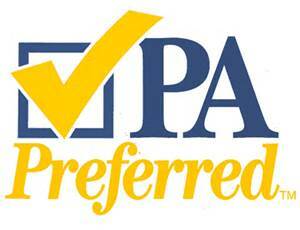 PA Preferred is a state-supported agricultural marketing program. The State Department of Agriculture launched the PA Preferred program to identify and promote food and agricultural products grown, produced or processed in Pennsylvania. Buying local is not just a trend or fad. 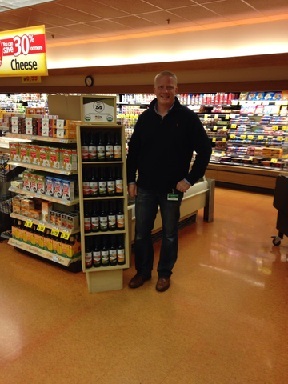 When a Pennsylvania resident purchases a product grown or made in Pennsylvania, they are directly supporting the state’s economy. By purchasing local products, you are also encouraging and allowing Pennsylvania business to do what they do best- to continue growing and creating great products. When it comes to produce and other food items, you are guaranteed to have fresher, better tasting products. Penn’s Best Mill Company’s line of cooking oils, including two hemp blends, received their PA Preferred status in October. The only exception is their 100% hemp oil, which is currently imported from Canada. This will change next year when we have the first legal crops of industrial hemp grown in the Keystone State in more than 80 years! Hemp oil is a delicious superfood, containing the ideal 3:1 omega-6 to omega-3 ratio, plus omega-9—all of which are natural fats that can help metabolize fat in the human body. 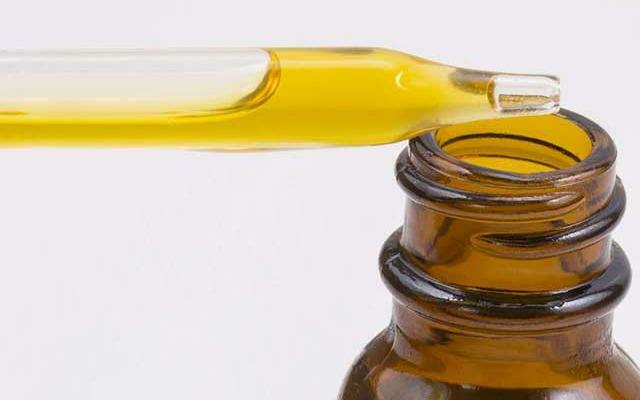 Additionally, hemp oil is rich in vitamin E, acting as an antioxidant. It is also one of the only plant oils containing vitamin D, which is necessary for calcium absorption. Penn’s Best Mill Company also just launched their product line in the Wegmans located in Williamsport, PA.
We eagerly await seeing that PA Preferred logo on 100% hemp products produced all over Pennsylvania! State Senators Mike Folmer and Judy Schwank, Gov. Tom Wolf, Geoff Whaling and Bill Evans. 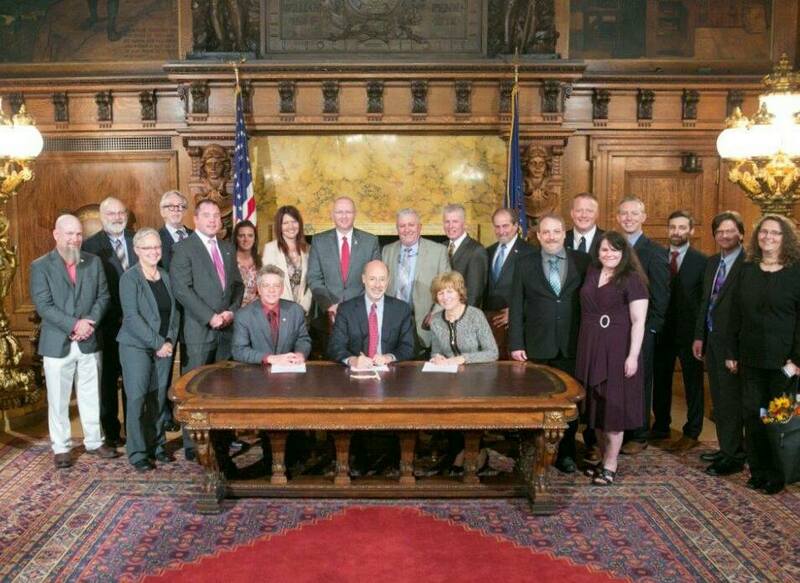 Thanks to the efforts of many, we’ve passed and Governor Wolf signed act 92, the PA Industrial Hemp Act, into law on July 20, 2016. 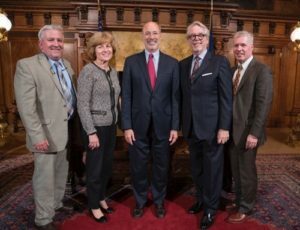 Since then PAHIC board members and others have been working with PA AG Secretary Redding and his senior staff to discuss and implement permitting so that Pennsylvania farmers, institutes of higher learning and others can begin the process of rebuilding our industrial hemp industry by getting seed into the ground next spring. I wanted to share what some of the challenges are, so that you do not think that the PA Department of Agriculture is acting in a manner that is counter to our goals. We have to remember that the authorization for Pennsylvania to enact industrial hemp legislation comes directly from section 7606 of the 2014 Federal Farm Bill. That section was not drafted by Congressional House or Senate AG Committee Staff, it was a member’s motion that was introduced from the floor of the US Senate and, as a result was not a perfect insertion into the Farm Bill. The language in section “7606” only provides for states to introduce legislation to undertake pilot programs and marketing research, without defining industrial hemp as a commodity crop, fiber or even as a specialty crop. Most importantly, “7606” did not remove this crop from the Controlled Substances Act (CSA), even though industrial hemp, by virtue of its international definition, must have less than 0.3% THC – the psychoactive element found in marijuana. “7606” also did not give the United States Department of Agriculture any direction as to what the ultimate purpose or goal was for industrial hemp, other than to research it. But that is all about to change. I have been working with a group of national hemp advocates, that we have nicknamed “THE SUMMIT GROUP”. We have met in DC on numerous occasions and have bi-monthly calls to update and discuss our legislative activities. It is this group that has worked hard to gain the support of USDA to accept that Section 7606 made industrial hemp legal under federal law, opening up hundreds of millions of USDA NIFA (national institute of food and agriculture) funding. So now legal hemp programs can compete against other crops for USDA funding in addressing our industries need for equipment retrofitting, for new equipment specifically for planting and harvesting industrial hemp. this access to funding may also spur on programs to demonstrate all of the uses and usefulness of this crop. It’s exciting times for all of us! I know it’s frustrating knowing that other states, like Kentucky, have as much as 5,000 acres approved for production this year. Yet our travels and work with the other state councils and organizations confirm that PA’s department of Agriculture is wise to go slow to get this right. By no means does that suggest PAHIC is not working daily to advance each of these issues. We cannot and will not let our 2017 planting opportunities pass by. We are here to assist you and to help navigate these challenges! Let us know how we can help! Let’s get growing in 2017! 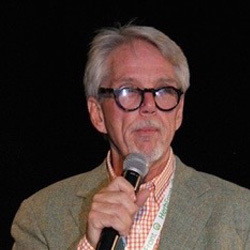 Geoff Whaling is the President of the Pennsylvania Hemp Industry Council, Board Member of the National Hemp Association and Pennsylvania Farmers Union, Co-Founder of the Coalition for Access Now – America’s largest CBD Advocacy organization and member of the leadership team that produces the Cannabis World Conference and Business Expos in Manhattan and Los Angeles. Our diligent work to persuade legislators to pass pro-industrial hemp legislation paid off this year. 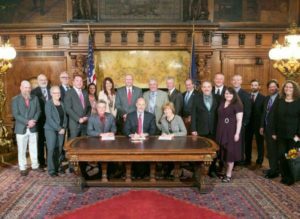 With the signing of Act 92, properly registered Pennsylvanians are now able to grow, cultivate, and/or market industrial hemp within the confines of the 2014 Federal Farm Bill. What may come as a surprise, to some of you, is that growing/ cultivating industrial hemp might be the easy part. Marketing industrial hemp—specifically hemp products intended for human consumption—is a challenge that we are only beginning to address. Note: Hemp farmers, there is nothing easy about your job. Without your efforts, marketers would be pushing cotton products! The passage of Act 92 and others like it throughout the United States represents our society’s growing demand for socially responsible legislative frameworks. Every day we are exposed to new information that supports industrial hemp cultivation. Whether it is hemp’s positive environmental impact or its extensive industrial applications, the proven benefits of hemp are helping to remove decades old “blindfolds” from the unknowing or disinterested private and public sectors. Proving industrial hemp’s viability as a replacement for petroleum based plastics or non-renewable fuel for automobiles is simple. Researchers and developers create plastics and fuels from industrial hemp, apply them in real life situations, and if they work—you have a product that is ready for market. However, while it is legal to create hemp products for human consumption – like the ones found here https://www.frontrangerelief.com/cbd-oil-buy-online/ – it is challenging for marketers to express the true health benefits of these products. Marketers may discuss hemp’s healthy nutrients, proteins, and vitamins, but may not make claims about the health/medical efficacy of hemp’s non-psychoactive cannabinoid, cannabidiol (CBD). This challenge is the direct result of the Food and Drug Administration’s (FDA) position on CBD. Because CBD is not approved by the FDA as a drug, marketers of any product designed to deliver CBD to the consumer must tiptoe around the language they use to express its health benefits. For example, we may not say, “ Hemp oil, rich in CBD, can cure cancer.” But we can say, “ Hemp oil, rich in cannabinoids, can improve your quality of life.” Granted, CBD is not guaranteed to cure cancer but neither are the various man-made medications that your doctor could prescribe. By saying, “improve your quality of life”, marketers are trying to appeal to your desire to feel better, without referencing the specific disease or condition you might be treating. You might also notice that we substitute the word “cannabinoids” for the acronym “CBD” in the example. This is to further protect the company or product from violating the FDA position. While this substitution functions as a protection from violating FDA policies, it can dangerously confuse the consumer—(which inherently violates Federal Trade Commission advertising guidelines). Despite the copious amounts of anecdotal evidence suggesting CBD products can treat, cure, or mitigate diseases and medical conditions, the FDA prohibits marketers of these products from referencing these successes (as a result of using CBD hemp products). Think about it this way: Make fuel from hemp that can power your car— you can call it fuel. Make hemp products rich in CBD that actually fight disease and medical conditions—you cannot call it medicine nor explain how it works. Regardless of the current landscape surrounding the marketing of hemp and hemp products, we will continue to find creative ways to provide evidence of hemp’s potential to exist as a societal panacea. Just as our diligence paid off with the passage of Act 92, it will eventually payoff by removing the blindfolds from the eyes of hemp’s critics. 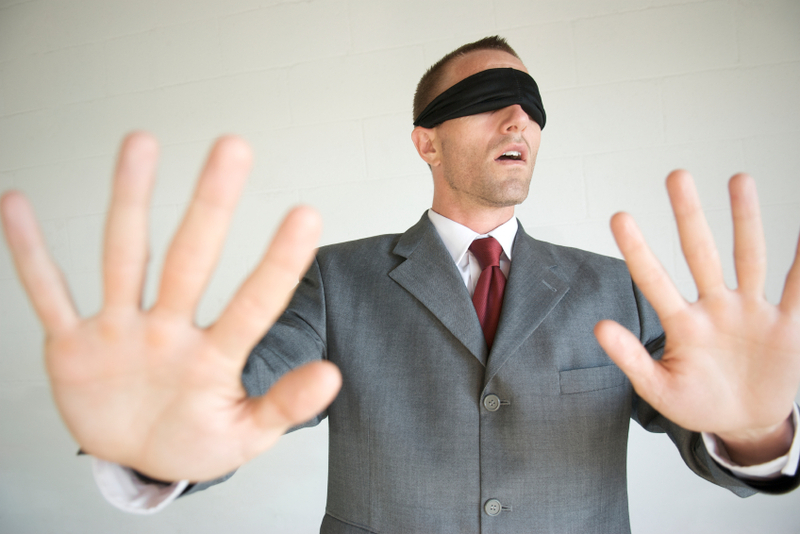 In the meantime, let’s hope those blindfolds are at least made of hemp. Lane Radbill is a Pennsylvania native who currently works as an independent marketing, branding and communications consultant in the cannabis industry. He has worked with leading cannabis companies and organizations to mold pro-cannabis legislation and public perception. There are more and more online cannabis retailers, like Purple Tangie, popping up all over the country as states are making the substance legal for medical and recreational use again! Lane is a regular contributor to the cannabis themed publications Herb and Dope. During the last presidential campaign in 2012, I was burning the midnight oil seven nights a week trying to advance the careers of the half dozen rock n’ roll bands I managed. It was during that time that one of my clients, Bill Kreutzmann from the Grateful Dead, first introduced me to cannabidiol, better known as CBD. He used it in a lotion to alleviate the tendonitis he had in his elbow after 50 years of drumming and raved over its efficacy. He explained to me that CBD was a compound derived from hemp, one of over 100 cannabinoids found in the plant. This revelation prompted me to do my own research and I soon learned this compound had therapeutic potential for a wide array of neurodegenerative diseases. In fact, as I soon discovered, the US government has held a patent on these cannabinoids as neuroprotectants and antioxidants since 2003 (Patent US6630507). I knew all I needed to know to leave my life as a music manager behind and dive in to the nascent hemp industry. In the years since, there’s been myriad of media stories about children and adults experiencing near miraculous results in controlling symptoms of neurological disorders through the use of CBD. We have also heard from a number of professional athletes who publicize their use of CBD to mitigate the physical and mental damage they incurred while performing in their high impact sports. Click here to buy this products now and change your life! The word is out now: CBD is helping to improve the quality of life for millions of people. It seems then, at least anecdotally, that CBD can provide therapeutic benefits for all walks of life; from musicians like Bill to military veterans to professional athletes, from infants to the elderly. Best of all, it is now easier than ever to obtain illinois cbd, with more and more people seeing the great health benefits that CBD has every single day. One could argue this non-toxic, non-psychoactive compound could hold the key to the future of self-care and preventative maintenance for the masses. What then must we do to ensure the success of this exploding industry? With such great potential on the horizon, producers of CBD products need a comprehensive regulatory framework for which to operate within. The countless success stories created a huge demand for CBD-rich hemp extracts and as a result, hundreds of companies popped up around the country to get their piece of the growing CBD pie. But where and how is the hemp grown that is ultimately used to manufacture these products? What pesticides are used? What is the condition of the soil these plants were grown in? Beyond just the cultivation practices, what quality control systems are in place throughout the extraction and packaging processes? For this industry to survive long term, producers of CBD-rich hemp extracts should adopt the CGMP (Current Good Manufacturing Practices) standards that the US Food and Drug Administration has in place for every other product intended for human consumption. The industry could also greatly benefit from putting systems in place requiring third party testing of raw and finished materials. It is of course too easy for companies to claim that they are the best cbd company, without sufficient regulatory measures in place. An objective, third party testing process would help delineate the competition and ensure customers are getting the best products. The CBD hemp industry has matured to the point where legitimate consumer safety measures should be in place to ensure the purity, consistency, and quality of the products being sold. Until a federal regulatory agency such as the FDA or USDA step in, the onus will remain on CBD manufacturers to produce their products in a manner that is best for the hemp industry as a whole– not just for their bottom line profits. Ryan Kingsbury is an independent marketing, branding and communications consultant in the cannabis industry. He spearheaded the ‘When the Bright Lights Fade’ campaign, an ongoing effort that has helped drive a national conversation about responsible cannabis use in professional sports. Prior to his work in the cannabis industry, Kingsbury spent 10 years in the music industry as an artist manager.